Any Korea University (KU) student who wants to get the most out of their days in Anam would have heard of these social network service (SNS) pages: “Everything About Anam”, “Anam News,” and “All the KU.” They shower students with information that enriches their daily lives—from information about great places to eat around campus to major events that happen at KU. Behind these important SNS pages are the members of KU’s new media club, Koogle. The name Koogle may remind people of the world-famous search engine, Google, and that is exactly what the new media club intended with the name. Just as Google provides all kinds of information around the world, Koogle wishes to provide information about KU and Anam. To achieve this goal, Facebook has been the first stepping stone for Koogle members. With thousands of subscribers, Koogle has become one of the most prominent sources of news that KU students can turn to when they need information about entertainment around the Anam campus. The success of Koogle’s Facebook pages was by no means easy—rather, it was a result of its dedicated members’ special efforts. Koogle originated from a small media related club within the Department of Sociology. At first, there were only a few members, and most were inexperienced in video editing, so it was difficult for them to achieve good results from the contests they entered. Some of the members then had an idea to put together a new group that studied and used new mass communication media, more commonly known as new media, which was gradually gaining popularity, and focus on information about Anam, the place in which they spent so much time. With the launching of the Facebook page “Everything About Anam,” Koogle officially began in 2017. Although the founders were from the Department of Sociology, Koogle is not restricted to students of sociology. As such, Koogle has grown into one of the most popular clubs in KU with around 15 members. 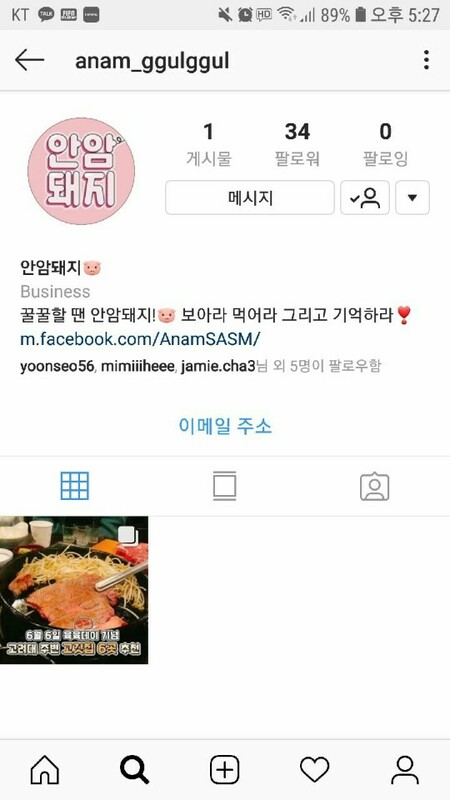 Although other SNS pages in the past also offered information related to Anam, they mostly focused only on certain areas, such as good places to eat. Koogle saw the opportunity to create a page that integrated all sorts of information about Anam, literally showcasing everything about the area. They planned to create informative pages based on their main goal—to create content that connected with KU students. At first, however, the page could not settle on a central identity because the information it provided was all over the place and not at all organized. The notable strength of Koogle that makes its pages so popular among KU students is its unrivaled speed at uploading the latest news. Of the many other sources of media that provide Anam-related news, Koogle is one of the fastest. This accomplishment is achieved in two ways: from inside and outside Koogle. Although at this point Koogle has managed to become a thriving club, it did not achieve its current status without obstacles along the way. One of the difficulties that Koogle faced had to do largely with the fact that they were a completely new type of club. As far as they knew, no club at any other university dealt with activities related to new media. Having no previous examples made it difficult to split the group into divisions because they did not know which style of organization was the most effective in a group that focused its activities on new media. Koogle, after a great deal of experimentation, had to come up with their own structure as an organization. They found that an organization worked most effectively when it was split into teams that specialized in a single SNS page. Thus, currently there are three major teams within Koogle – the All the KU team, the “Anam Dwaeji” Instagram team, and a currently unnamed team that will create new creative contents. Everything About Anam is managed by everyone; the members take turns creating and uploading the content. Until recently, Koogle has been focusing mostly on running Facebook pages. However, from this years’ fall semester, it is planning to stretch out into other SNS platforms. According to Kang, they are to embrace Instagram and YouTube. The Instagram account will be called the “Anam Dwaeji,” which means Anam Pig. The Instagram page not only re-uploads content from Facebook, but also includes original content that suits Instagram. “The growing popularity of Instagram and YouTube made us realize that we now need to spread onto other media platforms besides Facebook. We are hoping to create a signature web series that reinforces our brand for the viewers,” said Kang. While Koogle is about to take a new direction this semester, it also has visions that stretch over a longer period of time. “One of Koogle’s goals is to keep finding materials worth creating,” said Kang. The activities that the members engage in cost them money, but all they have left in the end are “likes” from subscribers. This may cause them to feel doubt about their activities because the rewards are not quite on par with the effort they put into them. To prevent its members from harboring those thoughts, Koogle is striving to find models of new media that would allow creators to appreciate the value of their work and to incorporate these models into the projects. Even today, Koogle, the only new media group at KU, is wandering around Anam to provide useful information for KU students. Its members are always thinking of ways toimprove their content and to keep up with the trends and the needs of their subscribers. Considering their dedication, there is very little doubt that Koogle will continue to progress and expand with astounding speed.